My three young children love to play with their friends in our driveway and keeping them safe is our top priority. Despite us talking to them repeatedly about playing safely and staying out of the road, someone inevitably tries to chase or ball or ride their scooter into the road. I am well aware that in the blink of an eye our lives could be changed forever if one of these precious children are hit by an oncoming vehicle. Therefore, I am always searching for additional measures to make outside playtime fun and safe. The Stop-it! driveway net is a brilliant and innovative idea which creates a boundary which helps remind children not to run out onto the street. How does it work? It is a retractable net that is easy to use, functional and most importantly, it really worked with my children and their friends to stop them from running after a ball when it bounced onto the road. It is designed for use with most outdoor activities such as basketball, hockey, bouncing the ball, tag, riding the scooter, bikes and more. I simply place the Stop-it! driveway net at the end of our driveway (or other area where I want to create a boundary) and pull the net across the designated area. My husband and I were initially a bit skeptical, mistakenly thinking that this would be a bulky product that is difficult to set up and that we would ultimately use on rare occasions if at all. Instead, we were pleasantly surprised to learn how easy it is to use because it is portable and retractable. There is no assembly required and it is very easy to set up and just as simple to take down until the next use. The vibrant, red color of the net itself makes it very easy for the kids (and oncoming traffic) to see and it worked to keep them out of the road. I also love that we noticed several cars actually slowed down when they saw the night giving additional peace of mind that the cars were more mindful of children playing in the neighborhood. Speeding cars has been a big problem in our area over the past year and this is a great way to provide that additional protection to keep my children safe. 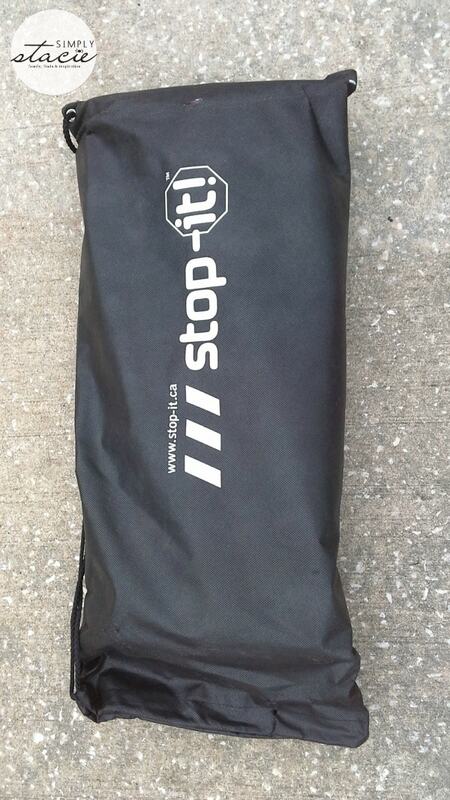 Overall, I am very pleased with the concept and the results we have seen from using the Stop-it! driveway net. I highly recommend this product for all parents of young children to help remind them not to run out into the street placing them at great risk for severe injuries or even death if they accidently collide with a car. You are invited to visit the Stop-it! website to learn more about kids safety, the product itself and purchase the Stop-it! driveway net for only $59.99. I learned that this is easy to use, retractable and bright red. I learned that 5-10 year olds are most likely to get injured in a driveway accident. Stops balls from rolling into the street from your driveway to help prevent children from running into active traffic. I learned that Stop-it! establishes both a physical and imaginary line. •Stop-it! Does not replace parental supervision, however it helps to create boundaries to enhance it. Stop-it! Does not replace parental supervision, however it helps to create boundaries to enhance it. 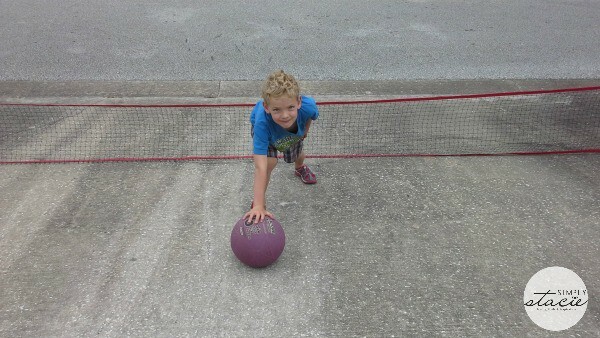 I learned that it is a multi-purpose net for use around young children to establish safer play boundaries! I would love this for my back yard, my littlest one always takes off, and it makes being outside miserable because all i do is chase him, then my oldest will take off..it’s just a mess. This would allow us to be able to play! I learned it stops many accidents and can be taken almost anywhere! When I was in highschool a very young boy in my hometown was struck and killed by a vehicle after chasing a ball into the road. One of the functions of this net is to prevent tragedies like that from occurring. What a great product! I learned that it is a multi-purpose net for use around young children to establish safer play boundaries! this would really come in handy, i love that it is so portable. I like how portable it is. It would be perfect to take with us when we visit my folks. They live in top of a huge hill. I like that it establishes both a physical and imaginary line. 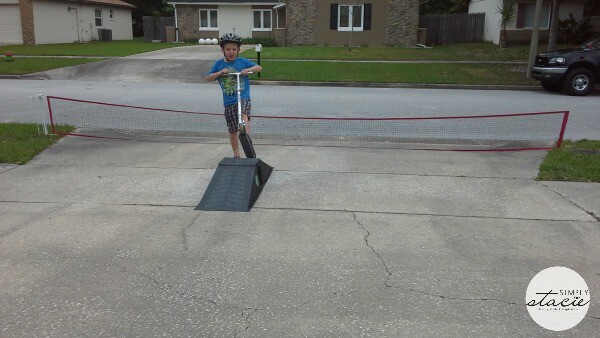 We have a large driveway, perfect for bike riding and playing. It also leads to a busy highway. A Stop-it is exactly what we need! I learned that there is no assembly required and that the pucks or balls will bounce back to you off the net. Great idea! It stops a lot of accidents I hadn’t even though about from happening. Would be great becaus we have a blind spot in our driveway for hose pulling in. Keeping my boys safer would be a blessing! I like that it is bright red so easy for everyone to see. its multi purposes and easy to set up and can be set up anywhere..i would use it at the end of the driveway when kids are playing! I would like to win this it would help my grandson who has autism know just how far he can go.Also it would keep the balls from going in the road. This is a great prize to have the chance to win.